My first year as a Kindergarten mom was amazing. The firsts are always fabulous. I thought I would feel like “been there, done that!” with my second. Nah! It never gets old. New child, new situation, new memories. 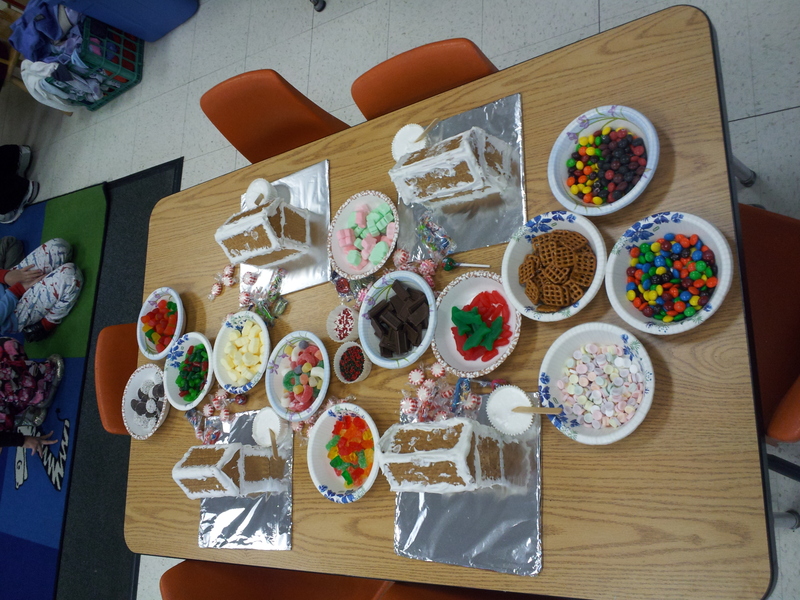 This week culminated with the decorating of the gingerbread house. Holiday shopping and baking 2011 is pretty near finished and most parcels delivered. Giving is so very fun! Since Christmas and New Year’s Eve will be celebrated in warmer climates, our festivities had to be this week. “Santa” has been told to deliver presents elsewhere, but WE had our gifts to give. I realized last year that Santa really does not deserve all the credit in the gift giving department, so we have implemented a list for him and a list of us. Tonight was spent putting together yet more Lego. A quiet family night over popcorn was just what we needed after a busy week and soon to be busier weekend. I found out that “It’s a Wonderful Life!” will be shown again on December 24th. I won’t miss it this year. I love that movie. I love the idea of wondering and seeing what would happen if a life did not exist. A single frustrated man whose dreams are unfulfilled manages to fill so many other cups of life. Amazingly cheezy, but a lot of truth. It makes me want to believe I am right where I should be. Every experience is a choice to make incredible.